Red Bull Music Academy have delivered an interactive animated map of the one-and-only Roland TR-808 drum machine. Check out this animated, interactive guide to the fabled anatomy of the Roland TR-808 by Red Bull Music Academy. What’s not to love? For a one page guide, the information you can glean is surprisingly deep. 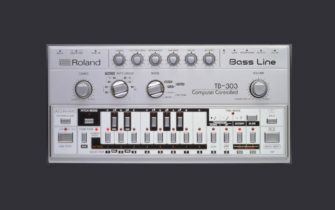 A quick browse through 808 listings on ebay mean that this is as close as many will get to touching one in real life. RBMA split the guide into three views – a front panel view that carefully labels all the controls on the surface of the machine. The second is a transparent view, which details the electronic components of the 808 and lastly a quick lesson on creating a simple rhythm. Best of all, you can click and drag on the images, spinning the device around, which functions so smoothly, it’s like holding the iconic beat machine in your hands. Check it out the RBMA graphic here.